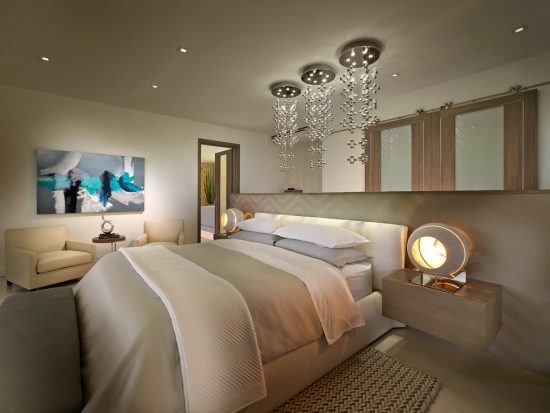 The light and airy bedroom is a special tranquil and relaxing retreat that will certainly improve your life. 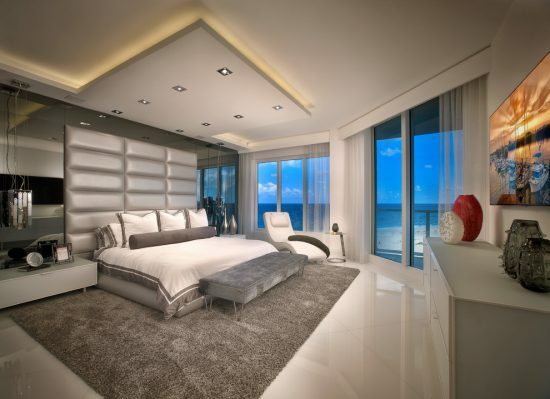 Steve G and his interior design team will share you a few ideas to design a breathtaking bedroom using simple ways and inexpensive materials. 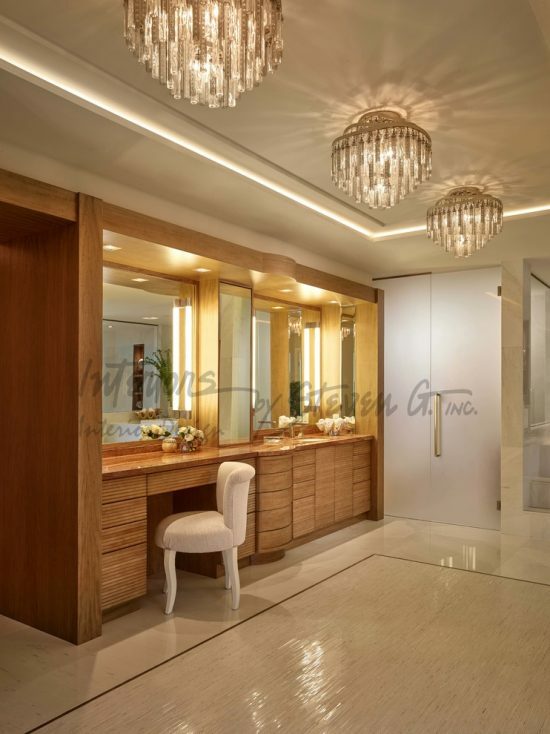 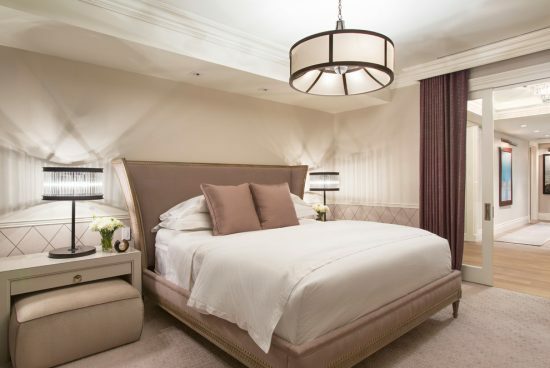 Using simple and streamline furniture along with luxurious materials, you can easily create a five-star bedroom. 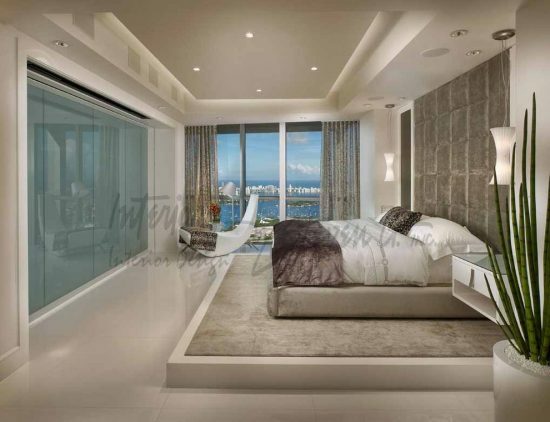 In an Echo Aventura modern bedroom, Steven G of High End Interior Designers designs a clutter-free bedroom with crisp white leather bed and foot bench along with modern grayish couple of chairs and small table beside the floor-to-ceiling window. 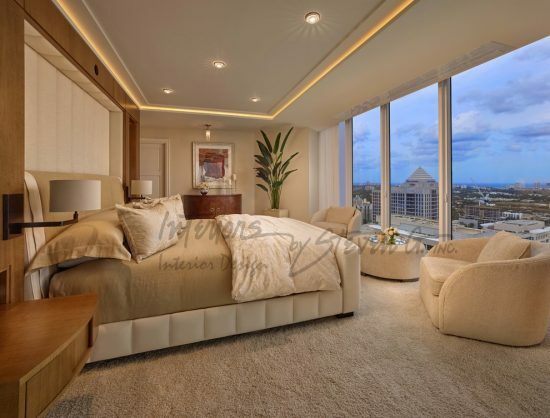 If you are used to spend nights in addition to several hours of your day in such a bedroom, you can add one or two lounges adjacent to the bed and hide your storage spaces to keep the clean look of the place. 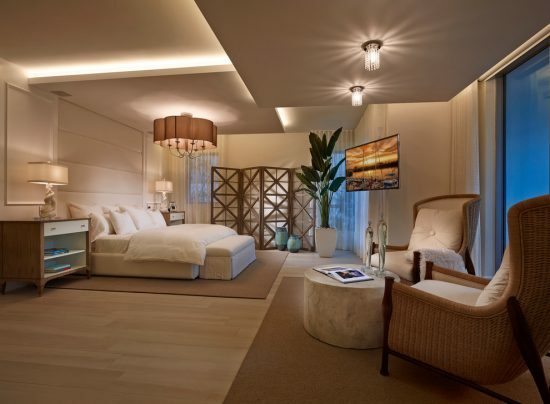 In a Miami ocean house, Steven and his team enhance the calm and tranquil feel using tall Asian plants and a room divider in addition to the existing soothing colors. 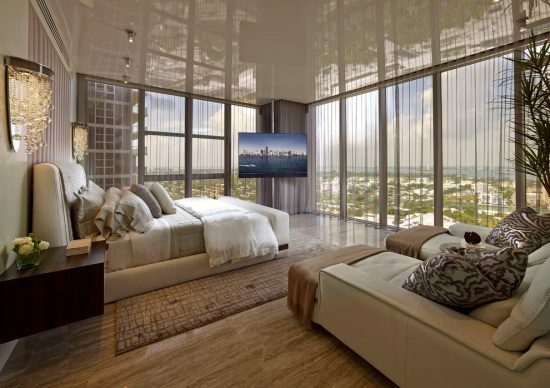 If you have outdoor natural views, don’t hesitate to use neutral colors and less accessories to draw the attention outwards. 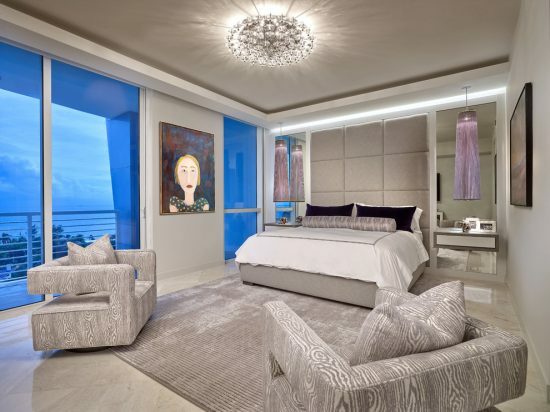 In a modern Palm Beach County, Steven and his team use neutral colors, glossy surfaces, a warm gray area rug, ceiling hidden lights, and a nature-inspired painting to create a cool and calming retreat. 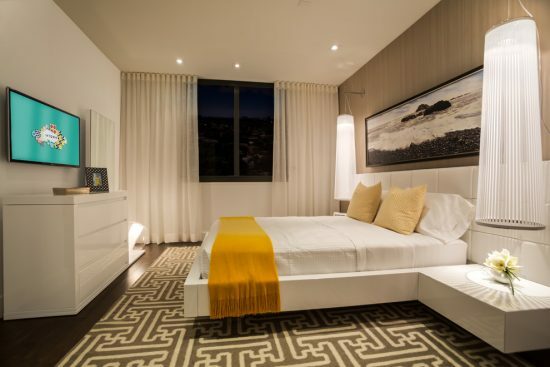 It will be a great idea to use closets and nightstands with the same color and texture of the walls like the contemporary home with Phenomenal Art designed by Steven G and his team.